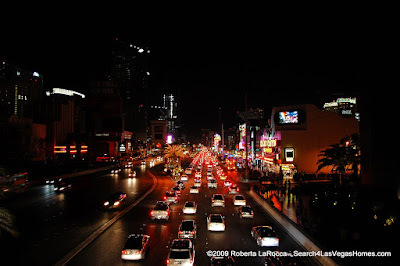 Las Vegas Strip Goes Dark - Pictures and Tales from a Las Vegas Real Estate Agent and 'Stripper'! Yes, it's time for true confessions. When I'm not a Las Vegas Real Estate Agent, and sometimes when I am, I'm a Las Vegas Stripper. Yes, another myth busted...Las Vegas Locals do go to the Strip. Now if you were thinking of the 'other' kind of Stripper...sorry, I'd probably fall like Jamie Curtis in the movie "True Lies." So last night our group of nine was at the Strip, doing our part to help the local economy. There's a good chance you've heard about Las Vegas being 'slow', and the media reports of MGM's City Center declaring bankruptcy. Unfortunately even our contribution to one of MGM's great Steakhouses was too little, too late. As we stepped outside after dinner, the power on the Las Vegas Strip casinos was turned off. 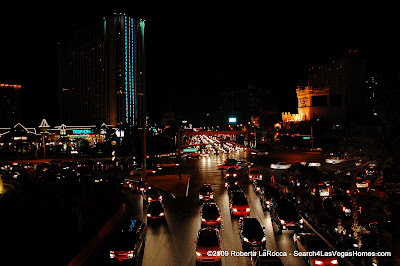 Besides street lighting and some of the smaller shops, the Strip was dark...with the exception of the limited lights from the 'few' visitors to Las Vegas. Business is just awful here, ya' know. OK, I'm just kidding. Well sort of. 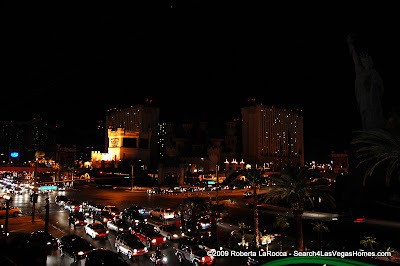 The lights were actually turned off for Earth Hour between 8:30 and 9:30 PM, as Las Vegas was one of the 10 US Flagship Cities for the global event. It was held to recognise conservation and climate change. 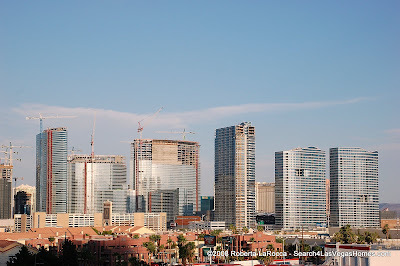 Las Vegas has become one of the cities with so much green construction, and out of necessity Las Vegas has been a leader in water conservation long before climate change became an issue. I do have to admit It was so strange to see one of the world's brightest cities, become so dark. 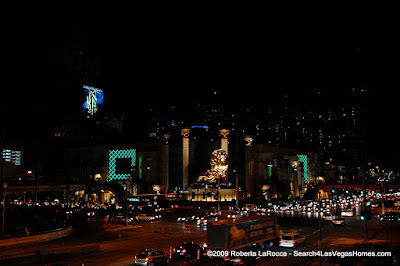 For more Las Vegas Strip pictures, even at night with the lights on, you might want to check out my Las Vegas Picasa Web Albums. Those pictures can be enlarged, and if you see something that catches your eye, they can be downloaded as a free Las Vegas Wallpaper, if you'd like. There also seems to be another 'darkness' lurking around the globe. 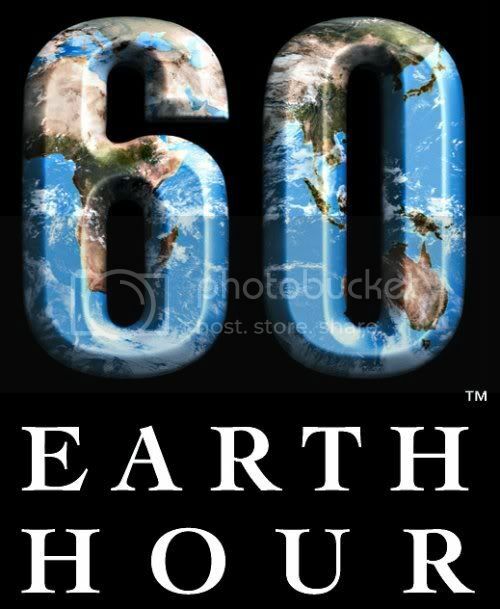 With all the doom and gloom of Las Vegas reported in the media, I guess this Earth Hour look must be what those outside Las Vegas might expect it to look like. Except for the traffic, perhaps. Yes, this is Las Vegas having a 'slow' economy and declines in visitors. Look as sparse or as bad as the media often describes it? You should have been with me at the airport today, it was packed. Of course the Las Vegas visitor count has been reduced, and those that are coming are enjoying some fantastic bargains. That has lowered revenues and many companies were overleveraged, but it doesn't appear that desire to visit is dying. The same thing is true in the Las Vegas Real Estate market, where sales numbers continue to climb as savvy buyers pick up tremendous bargains in everything from tract homes to luxury residences. Probably why relocation.com said Las Vegas was their #1 for relocation in 2008, and predicts a repeat for 2009. There's also been all the media disaster about MGM's Project City Center, that's scheduled to open later this year. MGM has said they expect to be hiring 12,000 at City Center and that doesn't include all the jobs on the property or in support of it in the valley. These are new jobs being created without any stimulus package. 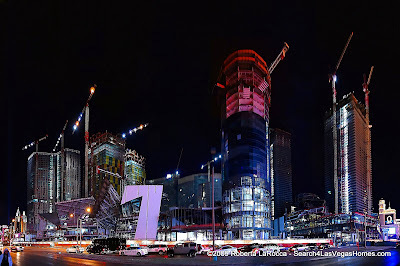 There was controversy created in the media that Nevada Senators Reid and Ensign had been asking banks to take a good look at the credit worthiness of giving loans to the City Center project. A big part of what all those billions in bailout money the banks received, was supposed to be about...freeing up credit markets to make viable loans. I don't understand why the press would think this is a bad thing, saving jobs and getting credit flowing again. Next a lawsuit from Dubai World claming MGM mismanagement, and that blasted in the media as more gloom and doom for Las Vegas. Strange that the media overlooked a few things, since Dubai World's comments last fall that Dubia World wasn't having any funding problems and wasn't canceling projects due to the global crunch. Yet by February, their Nakheel subsidiary has postponed 6, part of the $75 billion or 60% of projects cancelled in the resort area centered in the oil rich Middle East. So, could this lawsuit be another way for them to conserve cash in this downturn? A way to dodge their own overleveraged positions? Perhaps putting the blame all on MGM, and why those folks call it a 'meritless suit'? Or is it more as the media implied, that it was MGM as the lone source of the problem and the 'decay' of the Las Vegas market? Of course next up in the media was City Center would be declaring bankruptcy, as the lawsuit came just days before Dubai World would have had to put up their 50% share of a $200 million payment due. What a coincidence! The media began all kinds of speculation that City Center would be declaring bankruptcy, and then MGM Mirage because of all this. MGM had already said it had the money to make the payment by itself. What the media often failed to report, was that MGM WAS ready to make the payment, it DID have the cash, but THE LENDERS were the ones objecting to Dubai World not making their 50% of the payment. Yes, as most real estate agents in this foreclosure and credit mess have come to be aware, banks and common sense don't often belong in the same sentence. Banks that have frozen credit markets from their 'toxic assets', and in spite of the billions in taxpayer dollars handed to them, would rather refuse an available $200 million payment on a technicality and force a project into bankruptcy. Wouldn't that be creating even more toxic assets, as well as adding unemployment? Of course the media seems to be almost on their level at times. Just the week before, they were blasting the news of MGM's sale of Treasure Island to billionaire Phil Ruffin. After winning gaming approval, he transferred $600 million of the $775 million sales price to MGM. So yes, MGM obviously had the cash on hand to make the $200 million payment for City Center. It seems many in the media forgot or passed on that little tidbit. Of course there is still a lot of twists and turns for MGM to navigate, and I'd expect the banking industry to have a ways to go before common sense becomes more prevalent, but the media still seems more interested in negative, tabloid style reporting than being objective. One more case in point as to how crazy banking has become, is the Phil Ruffin purchase of TI. As he pointed out, he's getting one heck of a deal. To build the same nearly 3000 room hotel would cost in excess of $2 billion according to his estimates and former plans to do so at his former Frontier site a few doors up the street. MGM had done somewhere near $100 million in renovations to the hotel, and last year the property's revenues had declined...reported to be only around $87.7 million. MGM had offered to finance the balance, but gave Ruffin another super offer. If he found outside funding, they would knock off $20 million from the remaining $175 million balance. As crazy as this may sound, he's having trouble obtaining financing for the balance with $600 million down, or 80% equity! Ruffin had an interview with Las Vegas freelance reporter and a host of 'The Strip Podcast', Steve Friess. In Steve's Vegas Happens Here Blog, Phil is quoted as saying he may just pay it in cash.